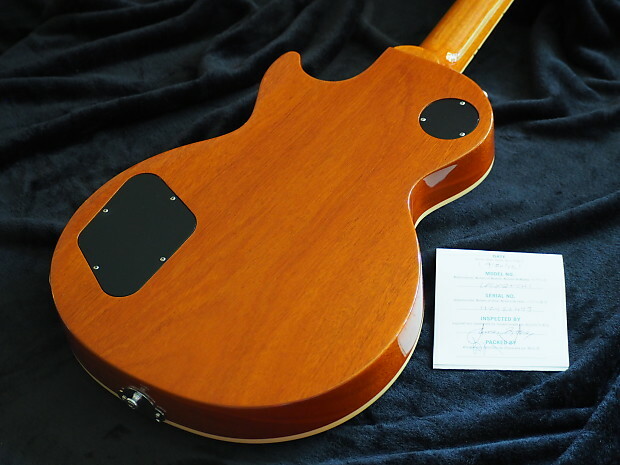 Listed 11 months ago by Moe's Guitars Our philosophy, “If we wouldn't play it, we wouldn't sell it”; it's that simple. Moe is going on vacation the end of the month, so he is marking down gear. 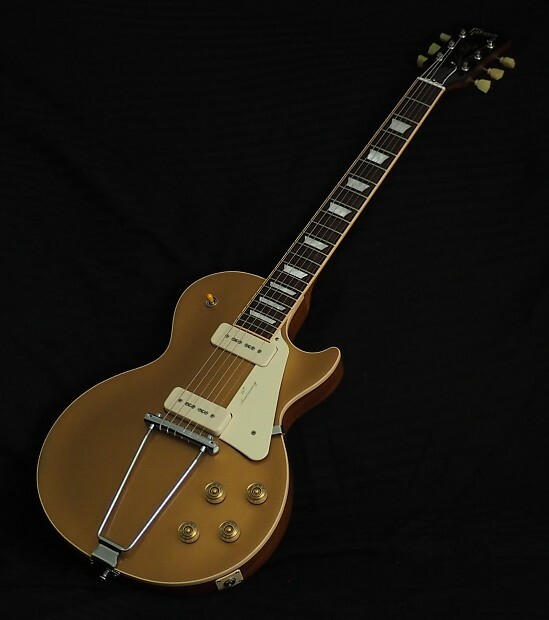 Moe's Guitars, Our philosophy: If we wouldn't play it, we wouldn't sell it; it's that simple. 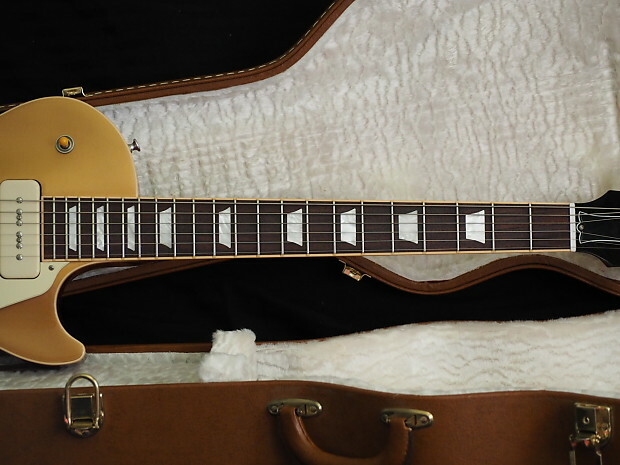 2012 Gibson Les Paul Limited or as I call it a '52 Reissue. 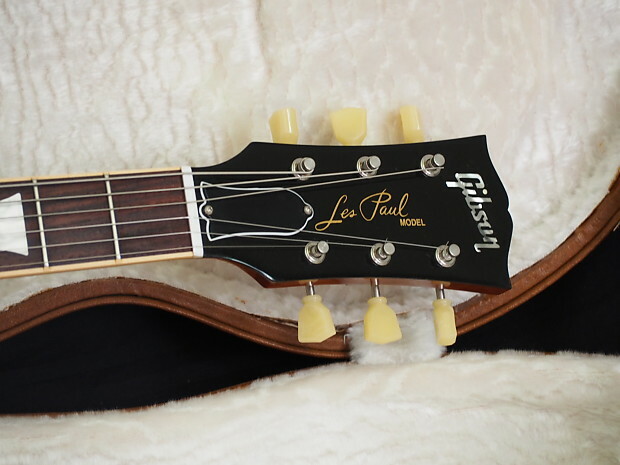 The is the only Gibson Les Paul I recall Gibson stating the wood selection used to be Grade A. 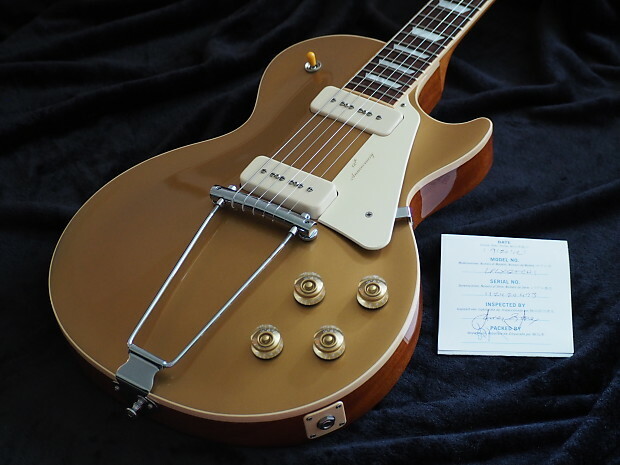 "To accurately recreate the unparalleled look, feel and tone of the early Les Pauls, Gibson USA crafts the Les Paul 60th Anniversary Goldtop’s body from a solid, non-weight-relieved, one-piece Grade-A mahogany blank topped with a solid, carved two-piece maple top. The body’s weight and solidity achieve astounding sonic girth and sustain, while the classic maple-mahogany combination blends tonal warmth and depth with plenty of cut and clarity. 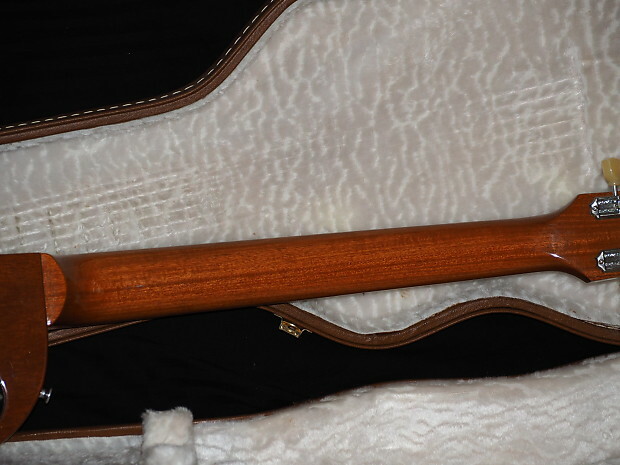 The one-piece, Grade-A mahogany neck is carved to the thick, meaty early-’50s profile that plenty of modern players have come to love and appreciate, a constructional choice that not only yields plenty of grip in the left hand, but enhances tone considerably by transferring a greater proportion of neck resonance into the body, via the time-tested, mortise and tenon Gibson neck joint. 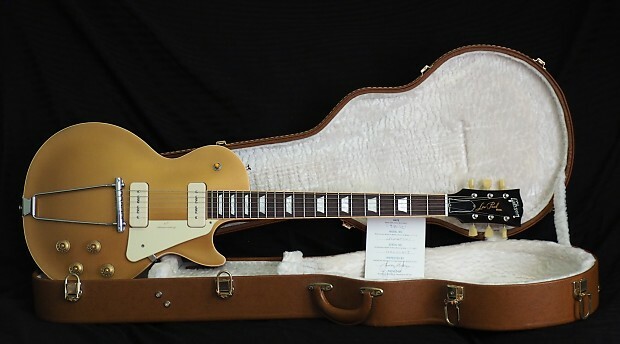 A Grade-A rosewood fingerboard is bound in vintage cream, with acrylic trapezoid inlays, and partnered by a vintage-cream pickguard that has been hot-stamped in gold with the “60th Anniversary” legend. 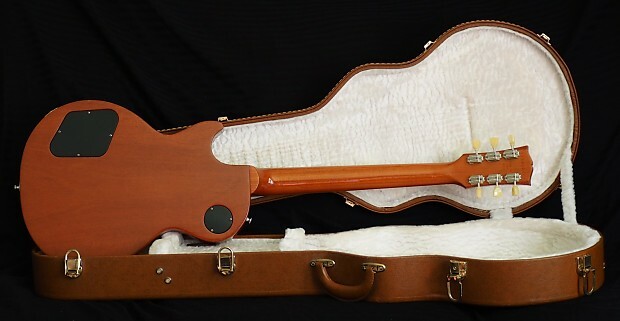 As was the practice in the first year of production, the three-way pickup switch carries no plastic ring." The instrument is super clean without repairs, alterations or modifications. Other than a few small marks (which do not photograph) it is as close to a showroom instrument as you will get. I don't think this instrument has more than two weeks play time on it. 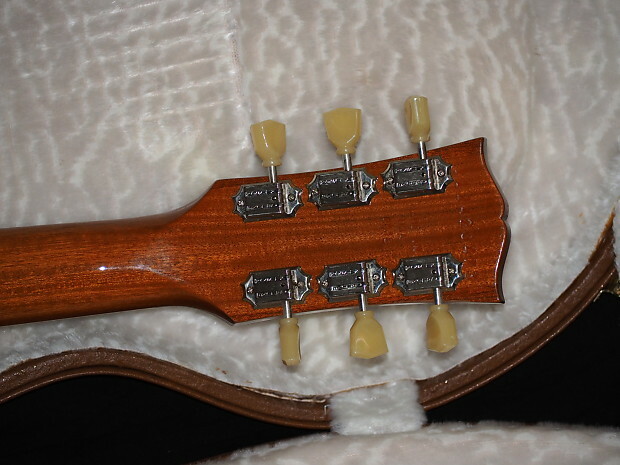 The fret wire shows almost no wear. Google Les Paul Limited for all the specs. The neck is chunky, but not a R8 baseball bat neck. Neck dimensions taken off the instrument . Good condition items function properly but may exhibit some wear and tear. Fair condition gear should function but will show noticeable cosmetic damage or other issues. Poor condition gear may not work properly but can still perform most functions. Non Functioning items do not work as they should. Moe's Guitars Our philosophy, “If we wouldn't play it, we wouldn't sell it”; it's that simple. USPS insured is the shipper of choice for the USA. Outside the USA DHL is the shipper of choice. Please contact us for accurate shipping quotes.